On April 1, 2017, the total market cap for all cryptocurrencies was slightly higher than $25 billion. Roughly two months later, the cap exceeded $100 billion. In just over 60 days, the value of cryptocurrencies surged by 300 percent. So what is going on? The leading cryptocurrency, Bitcoin, recently made headlines by climbing dramatically in value (it’s currently sitting around $2,600 USD, about 160 percent higher than its value in April). But Bitcoin hasn’t been alone in this extreme growth. 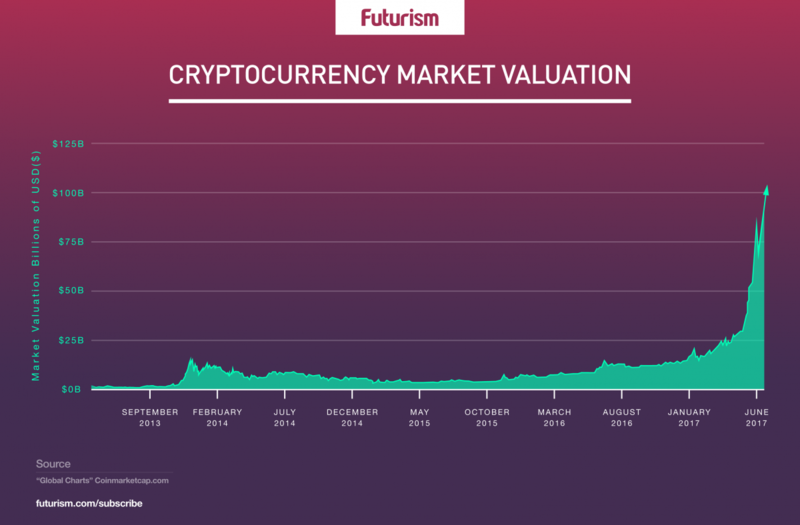 The cryptocurrency market as a whole has spiked in value within the last few months. While those already invested in Bitcoin might be celebrating, this jump is clearly reason to pause for anyone considering entering the market. Historically, what goes up super-fast must come down — at least when it comes to the stock market. This has prompted many to call this rise a bubble, leaving investors to wonder when it will burst. Factor number one in the general price rise is just another of crypto’s periodic bubble[s]: see Nov 2013, March 2013, July 2011. Lots of coins which patently have no plausible long-term use case or value — the classic example is Dogecoin, an obsolete joke — have set new highs during this frenzy — a bad sign. We’ve seen with these sort of ups and downs, these small groups of mostly Chinese pools end up with more than 50% of the capacity. And we don’t know anything about these organizations. Are they state controlled? The moment [there is too much consolidation in the mining pools], then effectively the platform is dead, at least as a currency. 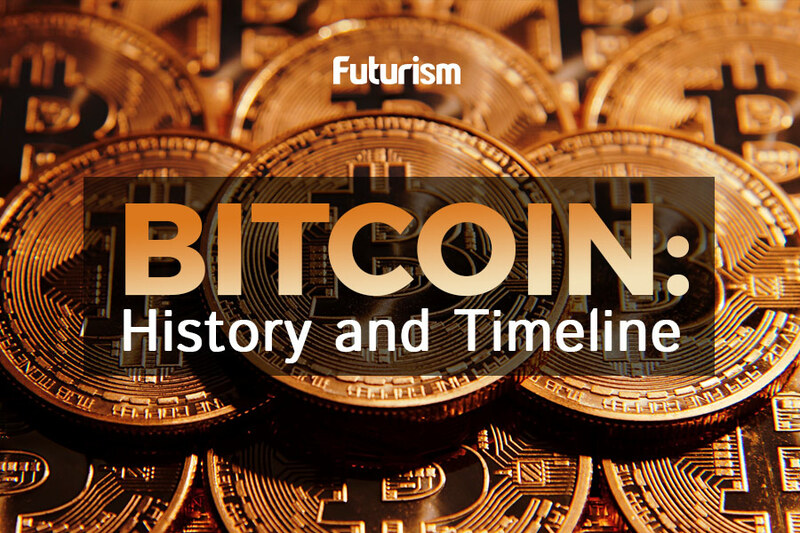 Anyone looking for proof of the volatile nature of cryptocurrencies, specifically Bitcoin, got it when Mark Cuban publicly criticized the currency. After the billionaire entrepreneur claimed on Twitter that Bitcoin was in a bubble and not, in fact, a currency at all, the cryptocurrency dropped significantly in value, seemingly illustrating a fragile and unstable nature. Whether due to historical precedent, a monopoly on investment, or simply an easily swayed investor pool, it seems pretty likely that this recent rise of cryptocurrencies will lead to some sort of drop. However, that doesn’t mean cryptocurrencies don’t have the potential to be a major player, if not the only player, in the future of finance. Blockchain, the technology supporting these digital currencies, may be even more worthy of the investment than the cryptocurrencies themselves. “I would say I think conventional wisdom now is that blockchain and the underlying technology is probably more interesting and has more potential than maybe Bitcoin does by itself,” Minneapolis Federal Reserve Bank President Neel Kashkari explained in a Reuters report. The link between digital currencies and this super-secure distributed database lends further support to the argument that digital currencies are a sound investment. However, only time will tell whether this current period of rapid growth will slow, plateau, drop, or continue skyward. As with any investment, the potential for reward comes with its share of risks, but right now, the future looks pretty bright for cryptocurrency. Bitcoin Has Already Climbed 141% in Value This Year. How High Can It Go?